With your personal care, both quality and compassion are important. Our specials programs help us to be confident we are recommending the most qualified home care professionals out there. These screenings let us see the bigger picture and not just what is on paper. High quality is great, but with your personal care, compassion must be just as important. In this way, we can be confident we are recommending the most qualified home care professionals out there. Through our Care Match Program, we offer free consultations with each of our clients to determine their specific care needs. We send out a Customer Relations Professional to discuss the type and amount of care you desire. 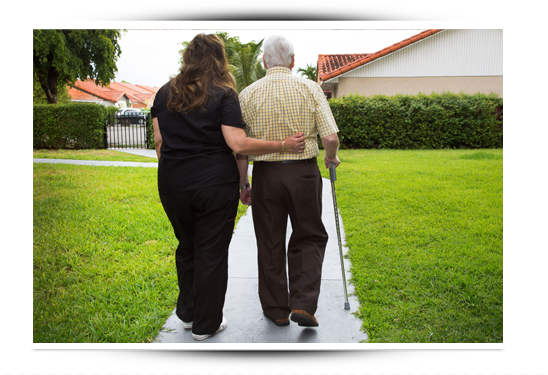 Whether you want around the clock care in your Coral Springs home, hourly care at an independent living facility, or elderly care in Coral Springs once or twice a week, we will find the best caregiver match for you. We then let you decide what works best for you. We rely on our FIVE STAR PROMISE and First Day Satisfaction GUARANTEE to ensure you’re comfortable and happy with the caregiver we referred from the very first visit. After we refer a compassionate caregiver, we follow up with our clients to make sure they are 100% satisfied with their caregiver and would like to keep working together.